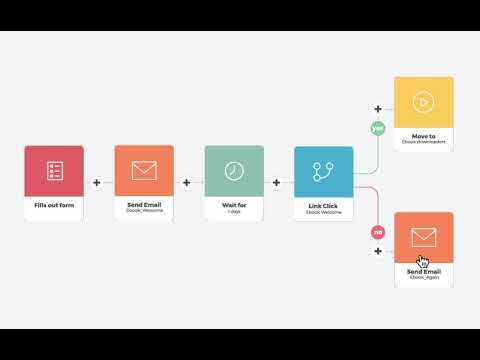 Small and medium sized business, marketing consultants and agencies add thrust to their marketing initiatives by leveraging Automizy's intuitive, insightful and ingenious email marketing automation platform to generate and convert leads to sales. Unlike competitors' legacy platforms, Automizy's sleek design and user-friendly interface make managing multiple campaigns a breeze. And with a powerful analytics component, the Automizy platform guides marketers and consultants to optimal results. Just need statistics and leads in an easy non complicated interface and it's cheaper than the rest no complaints So easy to use. I am able to see my stats and CTR right above the email I. Automation can pause automation and edit emails on the fly. Add tags, and do conditionals with ease. I like the CSV integration that comes with it and now that it is integrated with Zapier, I am sold. So easy to use. I am able to see my stats and CTR right above the email I. Automation can pause automation and edit emails on the fly. Add tags, and do conditionals with ease. I like the CSV integration that comes with it and now that it is integrated with Zapier, I am sold. Couldn't get connected website form to work but don't matter since Zapier sent to google sheets first and Zapier sends to automation. Perfect Fit for me. Thank you so much for the great review. We're really glad you like our product and that you could get the integration sorted. Thanks for the review, I'm glad you like the product. Very intuitive UI, excellent support! I very much like the intuitive user experience that Automizy offers. Customer support is excellent too, they always reply a few minutes I have a question. Nothing, really! Very good service. Probably they could add more templates for the newsletters. They could also improve the error messages. We're planning on adding more newsletter and automation templates, it's in the product roadmap already. It took some time to figure out the process, ​and as a long time user, there were some difficulties with the​ previous version, but luckily that has changed. Thank you so much for the great review. We're really glad you like using our product. Hope the upcoming features and updates will make your experience even better with us. Very positive. I will definitely recommend it to anyone. I love how easy it is to create the templates and send the emails. Analytics reports are clear and insightful. I love how easy it is to create the templates and send the emails. Analytics reports are clear and insightful. Nothing so far. I need to use it for more campaings. Thank you so much for the review and kind words! (: We're glad you like our product. Pricing is based on the number of contacts (email addresses) required. Starter: from $9/month for 500 contacts. Pro: from $29/month for 500 contacts. Enterprise: contact Automizy for pricing information. Individual emails and complete email sequences can be created through the drag-and-drop email editor and visual automation builder, allowing users with no HTML knowledge to create custom emails and automations. Audiences can be segmented based on their interests using the built-in tagging system, allowing users to send out more personalized emails. Hot and cold leads can be separated, and buyer personas can be identified based on the different routes taken to purchase. Campaign performance tracking and built-in email marketing reports provide users with data for informed decision-making. Below are some frequently asked questions for Automizy. Q. What type of pricing plans does Automizy offer? Q. Who are the typical users of Automizy? Q. What languages does Automizy support? Q. Does Automizy support mobile devices? Q. Does Automizy offer an API? Yes, Automizy has an API available for use. Q. What other apps does Automizy integrate with? Q. What level of support does Automizy offer?